Forget about fingerprints and DNA -- the way you smell has been added to the list of biometric data that can be used as personal identification. Police in China are now using body odor data to identify suspects in criminal cases. A laboratory official at the Nanjing Police Canine Research Center has created a "body odor databank" designed to assist in criminal investigations by matching crime scene odors with the smells of individual criminals. With the cooperation of police, the laboratory is now collecting the odors of people with criminal records. So far, 500 different samples have been collected and registered in the database. 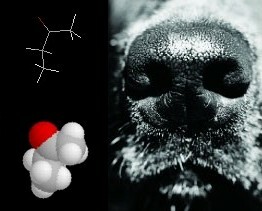 According to the official, clues obtained from smells have played a key role in solving a number of cases. This is because even the craftiest criminals are unable to remove all traces of their odor from a crime scene.